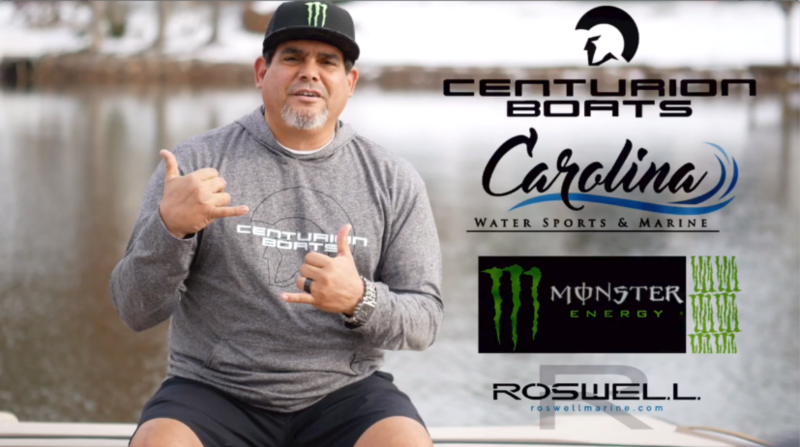 MERCED, CA (Decemeber 18, 2019) – We have partnered with Roswell Marine, Carolina Water Sports & Marine, the Water Sports Industry Association (WSIA) and Monster Energy to bring Robby Maschhaupt into the Centurion Boats Family to Pass the Handle (PTH). Maschhaupt hosted more than 750 on the water last year in an effort to spread the stoke of wake surfing. In 2019 he will be sharing the World’s best waves, wakes and ride in his 2019 Centurion Ri257. This effort is less about proving Centurion’s perfect ride and all about making lives better. Whether it is one of Robby’s more than 70 PTH events, Wakes-giving, Wake for Warriors, Wake & Flake or CWS Surf Jam, he is sharing the pure joy of water sports boating at every opportunity by passing the handle. Visit passthehandlelkn.com to learn more about this new partnership and all of Maschhaupt’s 2019 Pass the Handle events. Robby Maschhaupt is a Pass the Handle wake surfing coach. PTH is about getting new people on the water. His main goal is to share the stoke of water sports with others. He does this through a variety of specifically planned events as well as just spending as much time on the water as possible teaching wake surfing. An effort the size of Robby’s operation requires a ton of support. The boat is only a part of it. Much of the partnership required to execute the events as well as time on the water happens at a local level. This is where North Carolina Centurion Boats Dealer, Carolina Watersports, comes in. CWS has also partnered with Maschhaupt to help pass the handle on the local level as well as prove Centurion’s claim of the World’s best waves, wakes and ride. Robby will be executing more than 70 Pass the Handle events out of Peninsula Yacht Club and Holiday Marina in Cornelius, NC with his 2019 Centurion Ri257. He will also be organizing 9 other signature events like Wakes-giving, Wake for Warriors, Wake n Flake and Carolina Watersports Surf Jam. Wake n Flake is a fundraiser for Wake the World. Wake for Warriors is a 3-day event that benefits veteran service men and women. Carolina Watersports Surf Jam is a one-day event where Robby’s Ri257 and 5 other Centurions will pull as many as 280 surfers. With the backing of Centurion Boats, Roswell Marine, The WSIA, Monster Energy and Carolina Watersports the sky is the limit this year for PTH. Follow Robby Maschhaupt on Facebook (@wakesurfingGASMAN) and Instagram (@wakesurfing_gasman) to witness Pass the Handle history in 2019. Visit passthehandlelkn.com to learn more about this new partnership and all of Maschhaupt’s 2019 Pass the Handle events. About Correct Craft: Celebrating 94 years of excellence in the marine industry, Correct Craft is a Florida-based company with global operations. The Correct Craft family includes Nautique, Centurion, Supreme, Bass Cat, Yar-Craft, SeaArk, and Bryant boat companies, Pleasurecraft Engine Group, Watershed Innovation and Aktion Parks. For more information please visit www.correctcraft.com.